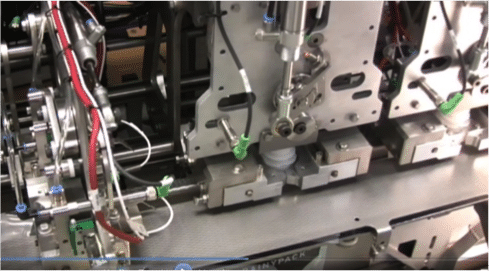 The SPOUTPRO IS – 30BP is our model for automatically upload the pouches and insert the neck to PacXpert type flexible pouches. 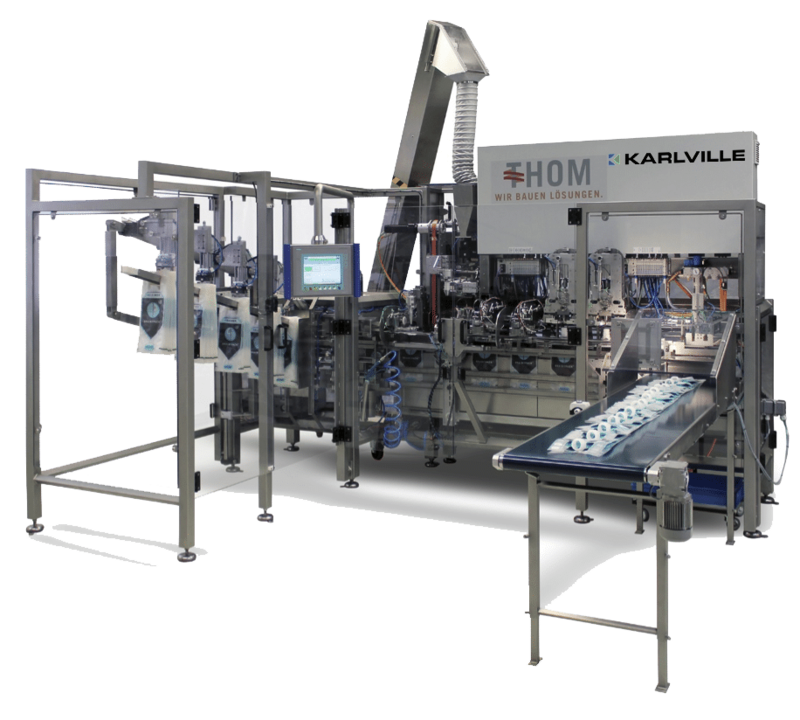 This complete machinery has the possibility to automatically insert, fill and cap jumbo pouches – PacXpert design. Length: approx. 4.0 m. / Width approx. 5.0 m.
Air consumption approx. 20Liter / cycle at 6 bar. Voltage: (Three phase,N,PE) 480 Volt / 50 Hertz Control voltage 24 Volt. 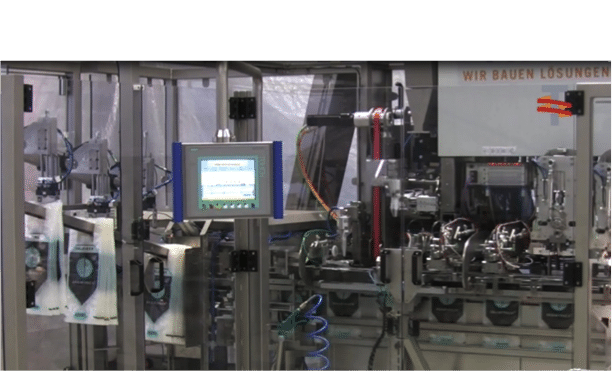 Reduced cost by inserting spout in one process in one solid platform. Less inventory space required for stocking pre-made pouches compared with railed spouted pouches. 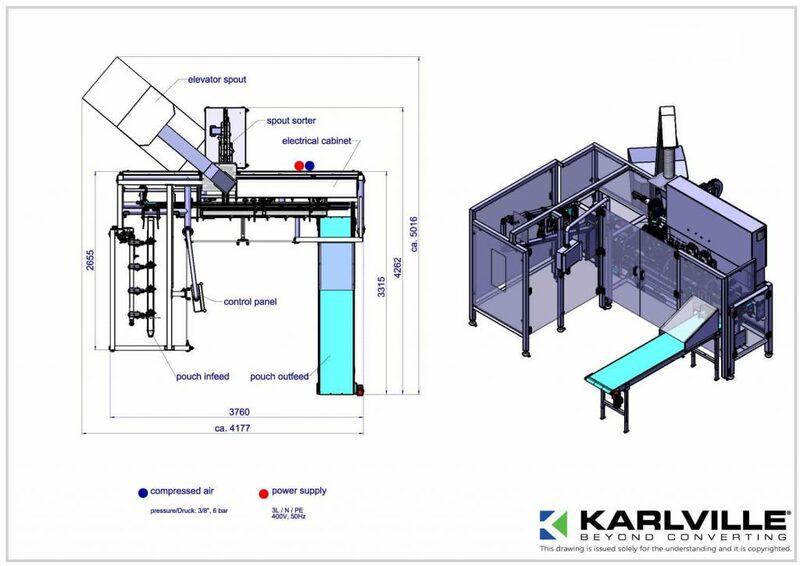 Compact machinery built for a safe operation. Stainless steel construction, heavy duty, solid welded machine. All machine parts, in contact with product, are made out of stainless steel 316.